Thessaloniki is a city and region in Greece and is also known as Thessalonica, Salonika and Salonica. It is the second largest city in Greece and is the capital of the region known as Macedonia. It is a major tourism, economic, industrial, commercial and political location, plus being an important transport link too, especially as it has a very busy commercial port. The city was founded in 315 BC by Cassander of Macedon, who named it after his wife Thessalonike, who was half sister of Alexander The Great. After the fall of the Kingbom of Macedon in 168BC it became a part of the Roman Empire and was developed into a trade centre for Europe and Asia. During the First Century AD it became one of the first early Christian centres, after Paul the Apostle preached there. During the Byzantine era the city further developed and was actually known as the Kingdom of Thessalonica after the Crusades in 1204AD. The Ottomans conquered Thessaloniki in 1430, under the command of Mourad ll, which again enhanced the region as a strategic trade route. This attracted many new visitors and settlers from a variety of countries and cultures, especially Jews from Spain (Sepharadites). Due to this fact, the Greeks say that this region was the first ever tourist resort? The Ottomans also turned Thessaloniki into the largest Industrial centre and port in the Balkans, thus tripling its population and importance to the whole region. On the 27th October 1912, during the Balkan Wars, the Greek Army liberated the city, thus its independence and own heritage started to shape the city, especially during the 50’s & 60’s when the city went through an unprecedented period of construction and growth. Many of its early Christian and Byzantine monuments were added to the UNESCO World Heritage List and it was European Capital of Culture in 1997. The White Tower of Thessaloniki is a monument and museum on the waterfront. It was a Byzantine fortification and then a Ottoman prison and has now been adopted as a ‘symbol for the city’. The Rotunda Church of St George was built in the 4th Century and has been a Temple, Basilica, Mosque and Church. It is the oldest of Thessaloniki’s churches and still has amazing mosaics inside. Like a lot of the architectures do buildings in Thessaloniki, it has a scaled model outside, which is used by tour guides to help blind people understand the information they are given about the structures. A part of the same construction is the Arch of Galerius, which is named after the Roman Emperor who commissioned the whole complex. It was originally an eight-pillared gateway with three arches, but just this section remains, but that is enough, as it contains important mouldings that depict Roman battles and sacrifices. The Ancient Agora (Roman Forum) was constructed by the Romans in approximately 1st/2nd Century AD and was the centre of political and public life in Thessaloniki. The complex was arranged around a rectangular paved area with stoas on three sides, the southern stoa was actually a row of shops. The Cryptoporticus (semi-subterranean area) leads to the Forums Underground Museum, which contain beautiful and rare artefacts, pictures and information. There is also the Odeon, where the public performances would take place. The Walls Of Thessalonica are impressive structures that protected the city, originally built in the 4th Century, but the present walls were mainly constructed in 390AD. Approximately 7 kilometres long, 10 meters high and certain sections being 5 meters think. There are several gate areas that are decorated with symbols and marble. Towers were added at various stages in its history, such as the Seven Tower Fortress (Heptapirgion) and the Tower Of Trigoniou located near the Acropolis. Bey Hamam, which was built in 1444, is the oldest Ottoman baths in Thesaloniki and has important integrated architecture such as; paintings, marble basins and benches, massage tables, features aches, domes and separate sexed entrances. The Monument of Alexander The Great (Thessaloniki’s and Greece’s favourite son) is a must see, as it depicts him riding his famous horse ‘Voukefalas, so stands 20ft tall and on the sea’s edge. It is situated in one of the most popular areas of Thessaloniki, in Nea Paralia, which is part of the waterfront area, where people walk, sit, jog, cycle and appreciate the stunning sea views and architecture of the city. Another extremely popular place is Aristotelous Square, which is also on waterfront, on Nikis Avenue. It was designed by the French architect Ernest Hebrard in 1918 and is one of the most famous places in all of Greece and synonymous with Thessaloniki. Over the years it has been the site of many important rallies, meetings and speeches. The buildings located there are spectacular and are now used as hotels, cinema, theatre, bars and restaurants. A visit to Thessaloniki has to include AnoPoli, which is known as the ‘old town’ or ‘upper town’ and is the most traditional part of the city, featuring small stone paved streets and squares. It was one of the parts of the city that avoided destruction in the Great Fire of Thessaloniki in 1917 and is now a UNESCO World Heritage Site. It is the highest point of the city, therefore is where the acropolis is located. It’s Byzantine fort ((Heptapirgion) and structures, plus Ottoman architecture make it a poplar location and it also boasts stunning views of the city, sea and Mount Olympus. To experience Thessaloniki to its fullest, visitors should visit the coffee bars, restaurants and shops, like there is in the Ladadika Port District. Whether it is for relaxing during the day or socialising at night there is always music; jazz, pop, house and traditional. The atmosphere at night has been helped by the growing numbers of students from around the world who study in the city, which is now approximately 20,000+ in total. 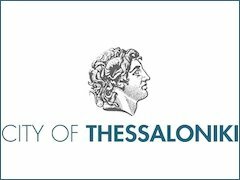 The City of Thessaloniki (the Municipality/Council) are always looking to work with organisations from around the world to collaborate on any projects. Greek food is famous throughout the world, so the local dishes are served everywhere, so a Traditional Meze (selection of local dishes) is a great way to sample it. Otherwise try Koulouri (bread rings), Bougatsa (pastry filled with choice of fillings) or Galaktoboureko (semolina-based custard in filo pastry). The best bar/café/restaurant in the whole of Thessaloniki has to be ENOXES or its name in English which is ‘Guiltiness’. The owner Stefanos has made it his labour of love, by up-cycling all the furniture, fixtures and fittings and filling the place with work from local artists. Mismatched cutlery, cups, plates, with a similar theme for the tables, chairs and benches. The balcony’s look out on to a square, park, shops and an archeologic site, so even the views are mixed. The music is carefully selected to be different all the time and made-up of a cool laid back sounds, with the occasional rock selection to mix it up. The food is of a snack/tapas style so again, so nice and easy, plus all locally sourced and that includes the beer and wine. If it’s shopping that is required, it’s Tsimiski, Proxenou Koromila, Mitropoleos and Egnatia streets or the Mediterranean Cosmos Mall in Pilea, visitors will never run out of retail venues in the city. 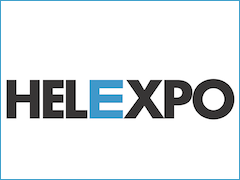 Thessaloniki is increasingly becoming a destination for events, hosting the Thessaloniki International Film Festival and Thessaloniki International Trade Fair which is organised by HELEXPO. Due to the amount of hotels, transport, hospitality, port, entertainment and airport access, the city is holding more conventions, meetings and prestigious events every year. 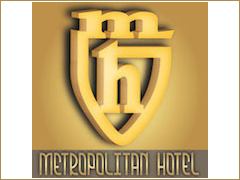 There are many places to stay in the city, but one of the best is the Hotel Metropolitan which is a home away from home!Modern guest rooms with comfortable and exclusive inner design, combined with the hotel’s long tradition in the hospitality. The hotel is located at Vas. Olgas 65, one of the most centrally avenue’s in Thessaloniki city and a prime approach to the city from the east Macedonia SKG Airport.The hotel is an ideal destination for both Business and Leisure visitors. It has a high level of service, with their experienced and friendly personnel being two of their best assets. Close to the most exclusive shops and outlets and also the ability to arrange visits and daily adventures too. The hotel also holds Art Exhibitions for local artists. Mouzenidis Travel is a Greek based leading tour operator, which was founded in 1995, with its head office being in Thessaloniki. It has grown to have over 60 officers worldwide, with 3000 partner agencies. 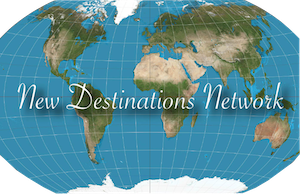 They provide every service required by travelers, tourists and businesses; accommodation, transfers, excursions, tours, real estate, VIP services and MICE. 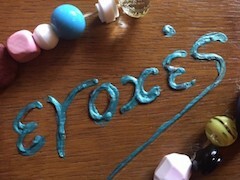 Therefore, they are highly recommended for anyone visiting any destination in Greece. Thessaloniki is also the name of the region too, so there are a multitude of places to visit not far away. One of the most famous is Mount Athos, which is home to 20 Orthodox Monasteries and a UNESCO World Heritage Site, which is governed by its own monastic state. Only men are allowed to go ashore, but women can view the amazing Byzantine architecture from cruise boats. Other places worth visiting are Chalkidiki, Pella, Dion and Vergina, plus a day trip to Mount Olympus. Due to Thessaloniki being a very busy port and offering many cruises and excursions, a trip to any of the beautiful Greek Islands can be arranged from there. The Greeks say that ‘everything’ has its origins in Greece, so before anyone could say they have travelled the world, they would have to visit where it all started and Thessaloniki may be the best example of that?